Is Mogao caves wheelchair accessible? How about the rest of Xinjiang? Well, as I know, it's not so convenient for the people to use wheelchairs in Mogao Caves and some of the attractions in Xinjiang. (a) Is it consider low season? (b) Would the weather be bad for the visit? (c) Would I be able to purchase the entrance tickets to Mogao Caves at the ticket counter? 1. Yes, you are correct. 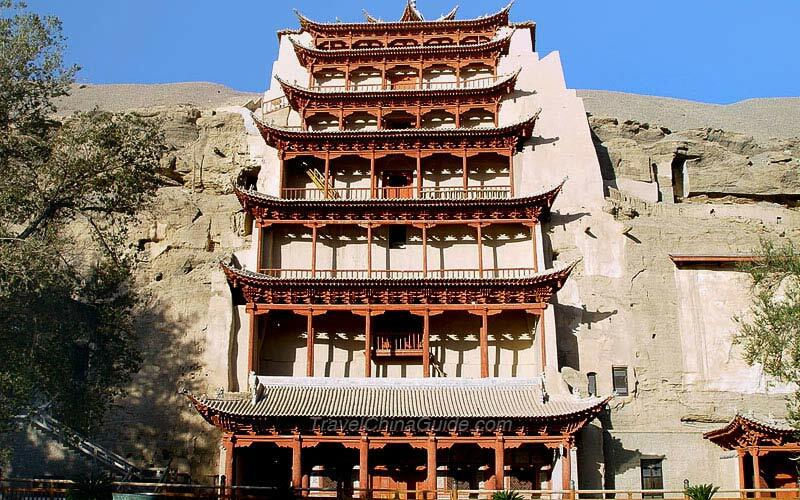 November is the low season of scenic areas in Dunhuang. 2. According to the previous statistics, the temperature may range from -6C to 8C during that period. It will be ok for you to visit there. Don't worry. Just prepare some warm clothes in order to adapt large diurnal temperature difference. 3. Yes, you can purchase the tickets at the ticket counter when you arriving there in November. Is Mogao ticket need advance booking? Can we buy the same day ticket upon our arrival on 27 March 2017? Seng, there should not be many visitors on that day, you may buy the tickets when you arrive there, but it is still suggested you make an online reservation just in case. I have heard that there is The newly-built Dunhuang City Railway Station , 10 km east of the downtown , has few trains connecting with Turpan.Do you have the detail of train schedule?, And from Jiayuguan to Dunhuang,I have to take off the train at Liuyuan then take bus to the city only? there 's no direct train from Jiayuguan to The newly-built the City Railway Station? Hello anybody there? answering my question please. That's right. There is a railway station as you mentioned. It is not far from the downtown. But there is no connecting trains between the train station and Turpan. Therefore, if you wanna go to Turpan, the best way is to take a train at Liuyuan. Is there any a Left Baggage counter at train station in Dunhuang ? Is there any train from Urumqui to Dunhuang on October? Is it better to go by bus or by train from Dunhuang to Jiayuguan? Yes, there is a train daily from Urumqi to Dunhuang at 18:57, the train would arrive at 10:41, I think the scenery will be worth seeing but most of the trip is in night time.